Lizzie Ball is an internationally placed violinist, vocalist, leader, concert producer and educator, known for her interaction with a variety of musical styles, whilst keeping a strong presence in the classical music world. Born in 1981 in Sheffield, Lizzie began her musical education at a local comprehensive school with a strong music department. She read Music at St. John’s College, Cambridge University, as an Instrumental Scholar, and did further study with maestros Yossi Zivoni and David Takeno at the Royal College of Music and Guildhall School of Music and Drama. Lizzie’s interest in other styles of music started early on; her father’s talent as a jazz pianist was in the background, as well as her mother’s love of everything from opera to rock and roll, and she always loved to play and listen to all kinds of songs. As a teenager growing up near Sheffield, she would be found on both concert hall stages as well as jamming with local Sheffield indie bands at the Leadmill nightclub (home to the first gigs of Pulp, Arctic Monkeys and beyond) until the wee small hours. Lizzie is the founder and creator of Classical Kicks. Formed in 2012, Classical Kicks presents a refreshing approach to classical music performance. Lizzie produces concerts of like-minded versatile musicians who share her grounded and down-to-earth attitude. So far Classical Kicks has achieved a 4 year residency at Ronnie Scott’s, a touring band version of Classical Kicks with multiple programmes and shows, including a family show, children’s workshops, and a even a club classics meets classical instruments collaboration with DJ and Bestival Founder Rob da Bank. As a solo artist, Lizzie has gained recognition for her collaborations with Nigel Kennedy (as leader of his Orchestra of Life, for more than 8 years), Jeff Beck (as a featured frontline member of his band), Brian Wilson of the Beach Boys (as a guest vocalist with his band) as well as Grammy-nominated classical choir New York Polyphony and the James Pearson Trio (resident band and Artistic Director of Ronnie Scott’s). Performance highlights include Eric Clapton’s Crossroads Festival at Madison Square Garden New York, BBC Proms with the Palestine Strings, Wigmore Hall, Berlin Philharmonie, Greek Theatre LA, and numerous international tours. 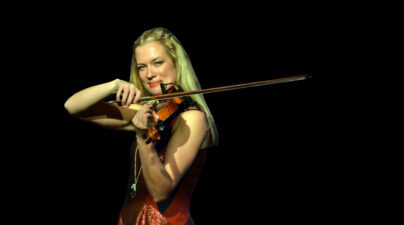 Lizzie is also in demand as a session violinist and has performed on numerous film, TV and pop recordings. She has also appeared on live Radio and TV in over 15 countries with her own groups and shows. Lizzie is a long time collaborator with her great friend and colleague Morgan Szymanski and is a proud ambassador of his PRISMA education workshop venture, which provides music workshops across Mexico for children in need. She is currently working on a brand new show with Morgan, which explores the life and times of Frida Kahlo, from a musical perspective. Callum Au is a professional trombonist, composer, orchestrator, and arranger. Based in London, Callum has worked with some of the UK’s top big bands and orchestras, and has fast made a name for himself as one of the UK’s finest young musicians. Callum was privileged to be taught in his youth by veteran trumpet player Terry Reaney, pianist Brian Harrison, and top UK jazz trombonist Mark Nightingale. He was a member of Bill Ashton’s National Youth Jazz Orchestra from 2005 – 2010, during which time he played lead trombone and was one of the band’s principal arrangers. Callum works as a trombonist and principal arrangers at Ronnie Scott’s Jazz Club, alongside illustrious bandleader and clarinettist Pete Long. In this post, he has worked with many of the world’s top professional jazz and commercial artists, including Joss Stone, Seth MacFarlane, Jason Robert Brown, Liane Carroll, Tim Minchin, Peter Erskine, and two thirds of the Spice Girls! Callum is active as a freelance trombonist and has worked with many of the top ensembles in the UK, including the John Wilson Orchestra, Echoes of Ellington, and in the pit of several West End shows. In 2014 he performed at the BBC Proms Battle of the Big Bands in the James Pearson Big Band, where he also contributed several of the arrangements. As a freelance composer and arranger, Callum has written or arranged music for a huge variety of ensembles and artists, including the BBC Big Band, Jamie Cullum, the RTE Concert Orchestra, Clare Teal, and the Swingle Singers. Callum is in high demand for his orchestration skills, and has arranged music for severed major touring shows including ‘Lorna Luft: The Songbook of Judy Garland’, ‘The UK Salutes Frank’, and ‘From Rags to Ritzes: the Irving Berlin Story’. Callum has also arranged and orchestrated a variety of TV, film, and library music, including the film ‘A Royal Night Out’ starring Emily Watson & Rupert Everett. In 2014, Callum was selected as one of seven up-and-coming arrangers from around the world to participate in the Metropole Orchestra Arrangers’ Workshop, where he worked with composer/ conductor Vince Mendoza, and vocalist Gregory Porter. Since then, Callum has been invited to work with the Latvian Radio Big Band, in a project arranging the music of J.S. Bach for big band, featuring accordion soloist Ksenija Sidorova. Callum is the orchestral manager and musical director of the Callum Au Big Band, which features some of the finest jazz musicians in the UK. The band released its debut album ‘Something’s Coming’ in 2012, which featured as its centrepiece a suite of music based on the musical ‘West Side Story’. The band has also worked on an arrangement of George Gershwin’s masterpiece ‘Rhapsody in Blue’, which premiered at Ronnie Scott’s in 2014 and featured pianist James Pearson. Callum also performs with his jazz quintet, co-led by baritone saxophonist Richard Shepherd, and inspired by the Brookmeyer/Mulligan group. Callum is the trombonist and principal arranger for the ‘Close To You’ ensemble, a collaboration between the acclaimed Tippett Quartet and the James Pearson Quintet. A unique chamber ensemble featuring both jazz and classical elements, this hand-picked group explores the canon of the Great American Songbook, working with top vocalists Matthew Ford, Claire Martin, and Anna-Jane Casey. In Autumn 2014, Callum was appointed as the guest MD of the Leeds College of Music Contemporary Jazz Orchestra, where he directed the band through his West Side Story Suite for a term. Callum has also directed workshops with the National Youth Jazz Orchestra, and his arrangements are played in many schools and colleges around the w’orld. In his free time, Callum likes tropical fish, Asian food, Star Trek, and strategy games. 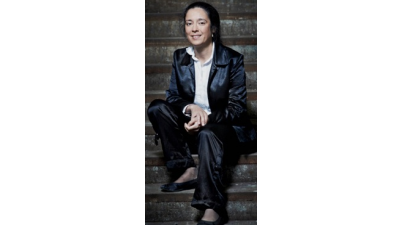 Sophia Rahman has recorded concertos with the Scottish Ensemble, the BBC National Orchestra of Wales and twenty-five chamber discs for companies including Linn records, cpo, Guild, Naxos, ASV, Dutton/Epoch, Meridian and Resonus. She has acted as a class pianist for IMS/Prussia Cove for Kim Kashkashian, Atar Arad, Hartmut Rohde and, for the last six years, Steven Isserlis. Since 1994 she has acted as official accompanist for the Lionel Tertis International Viola Competition, and has also appeared for the Barbirolli International Oboe Competition and the Samling Foundation, as well as the 2013/14 inaugural Australian Cello Awards. She was a class pianist for the last few years of masterclasses given by William Pleeth at the Britten Pears School. Together with colleagues Robert Plane (clarinet) and Philip Dukes (viola), she was Artist- in-Residence at Queen’s University, Belfast for eight years, where she developed her love of teaching. 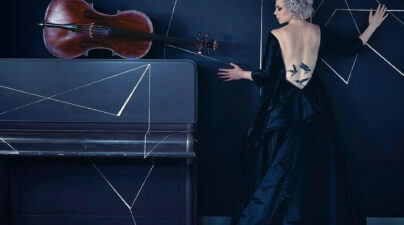 She is currently a guest-coach on the string Masters programme at the University of Limerick. Alongside her touring schedule she has given masterclasses at conservatoires throughout the UK and in Russia, China, Kazakhstan, Sweden, Finland (coaching chamber music at Sibelius Junior Academy), Estonia, Sri Lanka and New Zealand. She is also a member of Trittico with John Anderson (oboe) and Nancy Ruffer (flute). She has appeared in recital with Steven Isserlis, Thomas Riebl, distinguished wind players such as Karl Leister and Alex Klein, and also works regularly with her partner, the violinist, violist and conductor Andres Kaljuste. Sophia Rahman studied at the Yehudi Menuhin School with Peter Norris, with additional guidance from Vlado Perlemuter and Louis Kentner. She took a first-class honours degree in English from King’s College, London and completed her piano studies at the Royal Academy of Music with Alexander Kelly and Malcolm Martineau. She was the winner of the Royal Overseas League’s Accompanist Award and the Liza Fuchsova Memorial Prize for a chamber music pianist in consecutive years. Australian-born guitarist Craig Ogden is one of the most exciting artists of his generation. He studied guitar from the age of seven and percussion from the age of thirteen. His music degree (with honours) from the University of Western Australia was followed by the Royal Northern College of Music Professional Performance Diploma with Distinction – the College’s highest award for performance. In December 2004, Craig Ogden was honoured by the RNCM with a Fellowship in recognition of his achievements. He is the youngest instrumentalist to have received this award from the RNCM. One of the UK’s most recorded guitarists, his recordings for Virgin/EMI, Chandos, Nimbus, Hyperion, Sony and Classic FM have received wide acclaim. Craig’s Classic FM albums The Guitarist and Summertime both shot straight to No.1 in the UK classical chart in summer 2010 and 2011 respectively, followed by the release of Christmas Time in November 2013. His latest Classic FM albums Summer Guitar which was released in June 2014 and Craig Ogden and Friends released in June 2015 went straight to No. 1 in the classical chart and he is one of Classic FM’s most played artists. One of the new generation’s most prominent players, Craig Ogden’s performances have taken him throughout the UK, into Europe, the USA, South East Asia, South Africa and Australia in recital, on radio and on television. Craig has performed concertos with all of the main UK orchestras plus many abroad. In recent seasons he has performed with the Philharmonia, London Philharmonic, Manchester Camerata, Hallé, Ulster Orchestra (world premiere of new concerto by Ciaran Farrell), Bournemouth Symphony, City of London Sinfonia (UK premiere of Erik Esenvalds’ Songs of Silence), WDR Rundfunk Orchestra (Cologne) and the Aalborg Symphony Orchestra (Denmark). In December 2015, Craig was asked at short notice to step in for Miloš Karadaglić who was unable to perform due to his hand injury – he performed the series of concerts on tour with the Royal Northern Sinfonia at major UK concert halls to critical acclaim. Craig was again asked to step in at short notice for Miloš for his UK concerts in winter 2016 with the Royal Northern Sinfonia and the English Chamber Orchestra, taking on the challenge of learning nine new pieces of music in one week. This season Craig performs concertos with orchestras including the BBC Concert Orchestra, Hallé, London Philharmonic, Orchestra of the Swan, Spanish Symphony, Royal Liverpool Philharmonic Orchestra and the Orquesta Sinfónica de Navarra (Spain). BBC Music Magazine dubbed Craig Ogden “a worthy successor to Julian Bream” and his debut solo CD for Nimbus Records of 20th Century Classics by British composers was nominated for a Grammy Award. Craig’s Virgin/EMI release, A Quiet Thing with counter-tenor David Daniels received universal acclaim as did the duo’s USA recital tour of the Tanglewood, Ravinia and Mostly Mozart Festivals (after which Craig was immediately invited back to perform as soloist in the New York Lincoln Centre’s Great Performers Series). Craig Ogden has released eight recordings on the Chandos label. His recording of all three solo Rodrigo guitar concertos with the BBC Philharmonic Orchestra was greeted with wide acclaim and was selected as The One To Own in Classic FM magazine against distinguished competition including John Williams and Julian Bream. Classic CD concluded this recording to be “one of the most winning performances I have encountered” whilst Rodrigo’s daughter wrote: “This recording has confirmed your position among the greatest guitarists”. Craig’s CD, ‘Music from the Novels of Louis de Bernières’ was the London Daily Telegraph CD of the week, stating “this disc is pure joy”. Selling over 10,000 discs in three months it is Chandos Records’ fastest ever selling CD. Of Craig’s recording of concertos by Walton, Arnold and Berkeley with Richard Hickox and the Northern Sinfonia, Gramophone Magazine wrote “All the works in this delightful collection were inspired by Julian Bream, with Craig Ogden proving a formidable successor, matching in sensitivity and flair Bream’s own vintage recordings” while The Guardian hailed Craig Ogden as “Brilliant and persuasive”. Craig’s more recent recordings include a CD of the solo guitar music of British composer Paul Coles on the Nimbus label, Souvenirs with mandolinist Alison Stephens (Chandos Records), a recital of Spanish Songs with soprano Patricia Rozario (Somm Records) and a solo CD of the music of Northern Irish composer Greg Caffrey. Craig Ogden made his Royal Albert Hall debut with the Philharmonia Orchestra performing Rodrigo’s Concierto de Aranjuez in a Classic FM Live concert and in May 2009 filled in for an indisposed John Williams at another Classic FM Live concert again playing the Rodrigo concerto. He has also performed concertos with the London Symphony Orchestra, BBC Symphony, Royal Philharmonic, London Philharmonic, Philharmonia (Vladimir Ashkenazy), Accademia di Santa Cecilia (Rome), Hallé, BBC Philharmonic, City of Birmingham Symphony, Royal Scottish National, Bournemouth Symphony, Royal Liverpool Philharmonic, BBC National Orchestra of Wales, Northern Sinfonia, Britten Sinfonia, Riga Kammermusika, St. Petersburg Festival Orchestra, English Chamber, English Symphony, English Sinfonia, Ulster Orchestra, London Concert Orchestra, Manchester Camerata, Orchestra of the Swan, National Orchestra of South Africa, WDR Rundfunk Orchestra (Cologne), Aalborg Symphony Orchestra (Denmark), Lund Symphony Orchestra (Sweden), Tasmania Symphony, West Australian Symphony and Melbourne Symphony Orchestras. 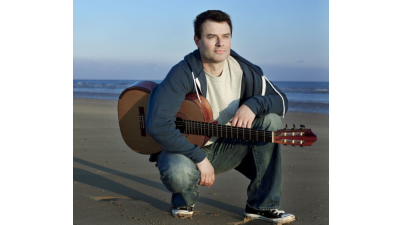 Craig Ogden regularly appears as soloist and chamber musician at the major venues including the Purcell Room, Queen Elizabeth Hall, Wigmore Hall and the Barbican. He has performed at many of the major UK festivals and is also invited to play at large outdoor festivals including Jamie Oliver and Alex James’ Big Feastival and the Wilderness Festival. In August 2015, Craig gave a recital with tenor James Gilchrist at the Edinburgh Festival which was broadcast live on BBC Radio 3. Craig performed as part of the Michael Tippett concert series at Wigmore Hall and returned there in March with the Nash Ensemble. In July 2016, Craig gave concerts and masterclasses in Hong Kong and Shanghai as part of the Hong Kong Guitar Symposium. He is the most sought after guitarist for chamber music in the UK performing with artists including the Carducci Quartet, London Tango Quintet, Milos Milivojevic (accordion), David Juritz (violin), Mark Padmore (tenor), Claire Bradshaw (mezzo-soprano), Patricia Rozario (soprano), Paul Tanner (percussion), Gerard McChrystal (saxophone) and Judith Hall (flute). Craig has been invited by John Williams to perform with him at venues including London’s Globe Theatre, where he recently returned for a music and poetry performance with actress Meera Syal. In July 2017 Craig was invited by Piers Lane to perform several concerts at the Australian Chamber Music Festival and later this year will be recording a new album with vocalist Jacqui Dankworth. Craig also frequently records for film and was featured on the British hit, Notting Hill. Craig’s world premiere performances include a concerto written for him by Gerard Brophy (Australia) (with the BBC Philharmonic Orchestra), Sun Trap (for solo guitar) by Jonathan Cole commissioned by the Britten Festival, a new solo work by Mark Anthony Turnage at the Cheltenham Festival which was broadcast on BBC Radio 3, The Hinchinbrook Riffs (for solo guitar and digital delay) by Nigel Westlake and an Alec Roth song cycle for the Chester Festival. He has also given UK premieres of guitar concertos by John Corigliano (USA), Eriks Esenvalds (Latvia) and Aaron Jay Kernis (USA). Craig enjoys performing new works for guitar and gives the world premiere of a concerto written for him by Andy Scott with the Northern Chamber Orchestra in Manchester in November 2017. Composers David Knotts and Geoffrey Gordon are also currently writing concertos for Craig. Craig has presented programmes on radio including ‘The Segovia Legacy’ on BBC Radio 3 (co-presented with Louis de Bernières), Ten Pound Pom Mum for BBC Northern Ireland (a programme about his mother’s upbringing in Northern Ireland) and a series of four interviews with artists including John Williams for ABC Classic FM (Australia). In December 2011 Craig presented three short videos as part of an advertising campaign on Classic FM for Emirates Airline. Craig was also invited by Sky Arts to be a mentor for the 2015 Guitar Star television series. Sami Junnonen (b. 1977 in Tampere, Finland) has established a versatile international career by performing as a flute soloist with a wide repertoire from early music to contemporary works. Junnonen collaborates frequently with some of the most significant composers of our time. His 2012 Debut Recital at the Helsinki Music Centre received outstanding reviews. Junnonen has been academically trained at the Sibelius Academy, the Conservatoire national musique et danse de Lyon, the Royal Danish Academy of Music, and various masterclasses. He holds a Master of Music with Distinction from the Sibelius Academy, completed in 2008. Junnonen performs on 24-carat and 14-carat gold flutes, handcrafted by the Muramatsu Flute MFG. Co., Ltd. The creation of violinist and vocalist Lizzie Ball, Classical Kicks is a unique night of classical music performance which has an exclusive quarterly residency at the world renowned Ronnie Scott’s Jazz Club in Soho, London. Hailed by Classical Music Magazine as “genre-bending”, Classical Kicks strives to bring the most talented, exciting and also diverse classical artists into the intimate and special space that is Ronnie’s Bar, and to maintain the best quality of musicians and musicianship, but most importantly within a fun and relaxed atmosphere. Classical Kicks also has an adapted touring version of its own unique brand of classical music which has featured in some great UK festivals including Henley, Music in the Garden for Dame Cleo Laine, and a performance for the English Speaking Union. Classical Kicks Records was formed in 2013 as a means to provide further promotion for exciting young artists and new ways of performing classical music, and released its first EP in the same year. Classical Kicks now runs a brand new series running throughout 2015 at St.James Studio, which explores themes from opera and song to jazz and whiskey, in a more ensemble focussed bespoke manner, whilst Ronnies mash up of different ensembles and bands continues to be the flagship residency. Previous artists who have performed include Thomas Gould (violin), Martynas Levickis (accordion), Aquinas Piano Trio, Barbara Barradas (soprano), Njabulo Madlala (bartione), Morgan Szymanski (guitar) and Machaca, G Project (cello and percussion), Filip Kowalski (viola), Bernard Gregor-Smith (cello), James Pearson (pianist and Artistic Director at Ronnie Scotts), Blue Topaz Trio, Navarra Quartet, Sideris Wind Quintet, Una Palliser (viola/vocals), Classico Latino, Eclectica, Thomas Kemp (Violin), Adrian Bradbury (cello) and many more…. Thomas Bowes is widely recognised as one of the UK’s most versatile and accomplished violinists – as a soloist, chamber musician, concertmaster and artistic director. His concerto work in the UK, Germany and the USA has included performances of the Elgar, Walton, Britten and Szymanowski concertos. At the invitation of the late Lady Walton, Tom spent three weeks on Ischia studying the history and score of the Walton concerto. His subsequent critically acclaimed recording of the work (along with the Barber concerto) for Signum Classics reveals a special connection to Walton’s music. Tom undertook an extensive ‘Bach Pilgrimage’ at the end of the 2012/13 season, giving fifty concerts of the unaccompanied Sonatas and Partitas of JS Bach in churches across mainland Britain and raising over £20,000 for various charities. He is currently in the process of recording the works for release in 2016 and also planning a second ‘Pilgrimage’ in Europe. Tom’s partnership with his wife, the composer and pianist Eleanor Alberga, has played a significant role throughout his career. As the duo “Double Exposure” they toured extensively across the USA, made a ground-breaking trip to China in 1997 and gave regular performances and broadcasts in the UK. The Duo established a reputation for adventurous programming and regularly performed commissions and world premieres of American and British composers. As an enthusiastic champion of contemporary music, Tom gave the world premiere of Eleanor Alberga’s Violin Concerto with the Scottish Chamber Orchestra conducted by Joseph Swensen. A second Alberga concerto is in the midst of composition and a premiere is planned for the 2017/18 season. Chamber music has been a major part of Tom’s artistic life – he was the founding leader of the Maggini Quartet – and since 2003 he has been the Artistic Director of the Langvad Chamber Music Jamboree in northern Denmark. More recently, with Eleanor Alberga, he founded the music festival Arcadia in north Herefordshire, England. Central to the ethos of both festivals is to bring fresh, authentic and vibrant music making to local communities and their audiences. Equally at home in the commercial recording studio, Tom is in great demand as soloist and concertmaster and works closely with many of today’s most eminent film composers and amongst numerous film credits are such hit-movies as the Bond films “Spectre” and “Skyfall”, The Hunger Games trilogy, “The King’s Speech” and “The Da Vinci Code”. Tom is privileged to own and play a violin by one of the great Cremonese makers – a splendid 1659 Nicolo Amati. Judith Weir was born into a Scottish family in 1954, but grew up near London. She was an oboe player, performing with the National Youth Orchestra of Great Britain, and studied composition with John Tavener during her schooldays. She went on to Cambridge University, where her composition teacher was Robin Holloway; and in 1975 attended summer school at Tanglewood, where she worked with Gunther Schuller. After this she spent several years working in schools and adult education in rural southern England; followed by a period based in Scotland, teaching at Glasgow University and RSAMD. During this time she began to write a series of operas (including King Harald’s Saga, The Black Spider, A Night at the Chinese Opera, The Vanishing Bridegroom and Blond Eckbert) which have subsequently received many performances in the UK, Germany, Austria, the Netherlands, Belgium and the USA. The most recent opera is Miss Fortune, premiered at Bregenz in 2011, and then staged at the Royal Opera House Covent Garden in 2012. As resident composer with the City of Birmingham Symphony Orchestra in the 1990s, she wrote several works for orchestra and chorus (including Forest, Storm and We are Shadows) which were premiered by the orchestra’s then Music Director, Simon Rattle. She has been commissioned by the Boston Symphony Orchestra (Music Untangled and Natural History) the Minnesota Orchestra (The Welcome Arrival of Rain) and the London Sinfonietta (Tiger under the Table); and has written concert works for some notable singers, including Jane Manning, Dawn Upshaw, Jessye Norman and Alice Coote. Her latest vocal work is Good Morning, Midnight, premiered by Sarah Connolly and the Aurora Orchestra in May 2015. She now lives in London, where she has had a long association with Spitalfields Music Festival; and in recent years has taught as a visiting professor at Princeton, Harvard and Cardiff universities. Honours for her work include the Critics’ Circle, South Bank Show, Elise L Stoeger and Ivor Novello awards, a CBE (1995) and the Queen’s Medal for Music (2007). In 2014 she was appointed Master of The Queen’s Music in succession to Sir Peter Maxwell Davies. In January 2015 she became Associate Composer to the BBC Singers. Morgan Szymanski has been highlighted as ‘One to Watch’ by both Gramophone Magazine and the BBC Music Magazine. A featured artist on the cover of Classical Guitar Magazine, Morgan Szymanski was also selected as a finalist for the ‘Outstanding Young Artist Award’ by MIDEM Classique/IAMA. 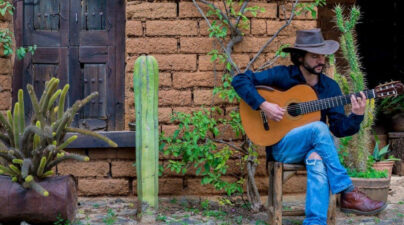 Born in Mexico City in 1979, Morgan Szymanski started playing the guitar at the age of six. A top prize-winner at international competitions, in 2002 Morgan won first prize at the National Guitar Competition in Mexico. Performances as a soloist and with orchestras have taken him to concert halls and festivals worldwide. In recent years Morgan has given recitals at major UK venues and festivals including the Wigmore Hall, Cadogan Hall, Bridgewater Hall, Purcell Room, Queen Elizabeth Hall, King’s Place, The Sage Gateshead, Royal Opera House and London International Guitar Festival. He has appeared as a soloist with the Academy of St. Martin in the Fields, Royal Philharmonic Orchestra, Hallé, Royal Northern Sinfonia, Filarmónica de la Ciudad de México, Orchestra of the Swan, Southbank Sinfonia, Welsh Chamber Orchestra, Scottish Sinfonia, RTÉ Concert Orchestra, the Cervantes Choir and the Coro de Madrigalistas de Bellas Artes in Mexico’s Palacio de Bellas Artes. Morgan’s devotion to chamber music has led to collaborations with artists such as John Williams, Celso Machado and Carlos Bonell (guitar), Mark Padmore (tenor), Alison Balsom (trumpet), Lizzie Ball (violin), Harriet Mackenzie (violin), Marcelo Nisinman (bandoneon), Adam Walker and Alejandro Escuer (flute), the Sacconi, Doric, Amici, Carducci, Cremona, Carlos Chávez and Odeion Quartets. Regularly broadcast live on TV and radio worldwide, Morgan can often be heard on BBC Radio 3. Morgan is much in demand as a teacher and has given masterclasses at top conservatoires worldwide including the Royal College of Music, Royal Welsh College of Music (Cardiff) and Trinity College of Music, as well as conservatoires in China and Mexico. He is also the Founder of PRISMA a non-profit venture which provides arts workshops for children in need in Mexico. Described as “phenomenal” (The Times) and “devastatingly beautiful” (Gramophone Magazine), award-winning choir Tenebrae, under the direction of Nigel Short, is one of the world’s leading vocal ensembles renowned for its passion and precision. Tenebrae has twice secured the award for Best Choral Performance in the BBC Music Magazine Awards (2012 and 2016), and its recording of Fauré’s Requiem with the London Symphony Orchestra was nominated for the Gramophone Awards (2013). In 2018, Music of the Spheres, Tenebrae’s album of part songs from the British Isles, received a Grammy nomination. Tenebrae is renowned for its highly-acclaimed interpretations of choral music with repertoire ranging from the Renaissance through to contemporary choral masterpieces and has appeared at major festivals and venues including the BBC Proms, Edinburgh International Festival, Leipzig Gewandhaus (Germany) and Melbourne Festival (Australia). The 2018-19 season sees the return of Tenebrae’s popular Holy Week Festival at St John’s Smith Square, London, as well as concerts throughout the UK and abroad. Award-winning conductor Nigel Short has built up an enviable reputation for his recording and live performance work with leading orchestras and ensembles across the world. A singer of great acclaim, Nigel was a member of the renowned vocal ensemble The King’s Singers from 1994–2000. Upon leaving the group he formed Tenebrae, a virtuosic choir that embraced his dedication for passion and precision. Under his direction, Tenebrae has collaborated with internationally acclaimed orchestras and instrumentalists and now enjoys a reputation as one of the world’s finest vocal ensembles. To date, Nigel has conducted the Academy of Ancient Music, Aurora Orchestra, BBC Symphony Orchestra, Chamber Orchestra of Europe, English Chamber Orchestra, English Concert, London Philharmonic Orchestra, London Symphony Orchestra, Orchestra of the Age of Enlightenment, Royal Philharmonic Orchestra and the Scottish Ensemble. He has directed the London Symphony Orchestra alongside Tenebrae in a live recording of Fauré’s Requiem, which was nominated for the Gramophone Awards (2013) and since then, he has conducted the orchestra at St. Paul’s Cathedral as part of the City of London Festival. Other orchestral recordings include Mozart’s Requiem and Ave Verum Corpus with the Chamber Orchestra of Europe and a new release of music by Bernstein, Stravinsky and Zemlinsky with the BBC Symphony Orchestra described as a “master stroke of programming” (Financial Times). Recent guest conducting appearances include the BBC Singers, Leipzig’s MDR Rundfunkchor and the Danish National Vocal Ensemble. Nigel has vast recording experience having conducted for many of the world’s major labels including Decca Classics, Deutsche Grammophon, EMI Classics, LSO Live, Signum and Warner Classics. In 2018, he received a Grammy nomination in the category of ‘Best Choral Performance’ for Tenebrae’s album of parts songs from the British Isles, Music of the Spheres. As a Gramophone award-winning producer, Nigel works with many of the UK’s leading professional choirs and vocal ensembles including Alamire, Ex Cathedra, Gallicantus and The King’s Singers. James Morgan and Juliette Pochin formed their partnership Morgan Pochin whilst undergraduates at Cambridge, and have gone on to work in a huge variety of fields, from EMMY award winning TV series to UK album chart successes, feature films and compositions for the concert platform and stage. They have produced many artists such as Alfie Boe, Robert Plant, Collabro, Nick Jonas, Katherine Jenkins, Aled Jones, Ronaldo Villazón, Alexander Armstrong, Joe McElderry and Dame Vera Lynn. Their numerous CDs for Decca, Sony, SYCO and Classic FM are regularly found in the album charts. Their music has been broadcast on BBC R2 and 3, Classic FM and on BBC TV and ITV, including the Classical Brits, and performed by most of the major UK orchestras. They were commissioned by the Brighton Festival to compose a new guide to the orchestra for families with poet Michael Rosen called The Great Enormo, a Kerfuffle in B flat. It was performed by the CLS at Brighton Dome, the CBSO at Birmingham Symphony Hall, the South Bank (Imagine Festival) and it was translated into Portuguese for performances in Porto. Other commissions include Kubla Khan for the Philharmonia Orchestra, brass band and chorus, Kyrie premiered on BBC R3 with the BBC Singers, orchestration for Tangier Tattoo for Glyndebourne, Diva (Danielle De Niese), Peter Gabriel, Fatboy Slim, Michael Bolton, and Katie Melua. More recently they were commissioned to compose Invictus, a Cantata for Freedom for orchestra and massed choirs premiered at the Brighton Dome as part of the Magna Carta celebrations. Irish born Una Palliser is a violinist, violist and singer based in London. She is a 1st class honours graduate of the Royal Academy of Music London, during which time she was the recipient of the Wolfson Trust Award, Royal Philharmonia Martin Musical Scholarship, was member of EUYO and string finalist in RTE Musician of the Future. Una’s fluency in a number of styles, in addition to classical playing, led to an invite by Shakira to perform as solo violinist on her world tour, where she doubled as backing vocalist. She also appeared as soloist with the Manchester Camerata Orchestra, Slovenian Symbolic Orchestra, toured with Take That, Moby, Gnarls Barkley, George Michael, Elbow, Michael Buble, Amanda Palmer, and a regular soloist with Leona Lewis, Bollywood composer AR Rahman and American blues artist Otis Taylor. Una also regularly featured with BBC World Music Award winners Terrafolk. As a session musician, Una has appeared on numerous film/TV soundtracks, and with artists including The Killers, Dionne Warwick, Jeff Beck, Paloma Faith, Ghostpoet and Bueno Vista Social Club. Her singing was recently featured on BBC’s ‘My Mother And Other Strangers’, ‘Redwater’ and the Specsaver’s ‘Sheepdog’ advert. Her voice and violin playing is currently featured in Jez Butterworth’s The Ferryman in London’s West End, having previously performed in Taming of The Shrew, Macbeth and The Inn At Lydda in at Shakespeare’s Globe. Born in Harrow in 1946, Michael Rosen is a brilliant and energetic author and poet. He has written 140 books on a wide variety of subjects, from Shakespeare to fellow author Roald Dahl but is probably best known for his fabulous and quirky poems. At seventeen he decided he would like to be a doctor, but he only did one year of medical school before realising he would prefer to study English Language and Literature. He then started out in a career in television presenting, before eventually turning to writing. Many of Michael Rosen’s poems are based on his own life, especially between the ages of two and twelve, and in 1974 he wrote his first poetry book, Mind Your Own Business, illustrated by Quentin Blake. Rosen has collaborated with a number of illustrators including, Helen Oxenbury, Nick Sharratt and fellow Children’s Laureate Chris Riddell who he worked with on the hugely successful A Great Big Cuddle, a poetry collection aimed at very young children. In 2004, following the death of his second son to Meningitis, Rosen wrote Michael Rosen’s Sad Book. The book, which was illustrated by Quentin Blake deals with the subject of bereavement, and touches on the emotions and grief felt by Rosen at this time. Rosen is also a radio broadcaster on Word of Mouth, a Programme that looks at the English language and the way it is used and is currently a Professor of Children’s Literature at Goldsmiths, University of London. Gabriella Swallow has emerged as one of the most versatile and exciting cellists of her generation. She studied at The Royal College of Music with Jerome Pernoo. She was awarded the coveted Tagore Gold Medal and performed the Hugh Wood Cello Concerto in her final year. As a soloist, Gabriella went on to make her South Bank debut with the London Sinfonietta in the world premiere of ‘About Water’ by Mark-Anthony Turnage. In the same year she performed Paul Max Edlin’s Cello Concerto with the South Bank Sinfonia, which firmly launched her place as a leading performer of contemporary music. This has led her to commission and work with many of the major living Composers of today. In 2013 she made her Wigmore Hall debut with the soprano Ruby Hughes and in the same season performed at the La Jolla SummerFest in San Diego, the Aldeburgh Festival with the Birmingham Contemporary Music Group and the Cambridge Jazz Festival as a member of the Gwilym Simcock Quintet. Gabriella is the string curator of Music Orbit’s string night ‘Strung Out’ and performs frequently at Ronnie Scott’s Jazz Club ‘Classical Kicks’ night curated by violinist Lizzie Ball and at Gabriel Prokofiev’s Nonclassical club nights. As a recording artist, she has recorded all the chamber music of Hugh Wood for Toccata Classics with the London Archduke Piano Trio, which was released to critical acclaim in 2009. 2012 saw the release of ‘Ivr d’amour’, a disc of Massenet Songs where she appeared with soprano Sally Silver and celebrated pianist Richard Bonynge for the Guild label and also soprano Lucy Shaufer’s debut disc ‘Carpentersville’ for ABC Classics where Gabriella features as a soloist. This CD was launched with a concert at The Aldeburgh Festival 2013. In 2010 she co founded the duo ‘G Project’ with percussionist Genevieve Wilkins. They made their debut with a sellout concert at the Forge in Camden and continue to perform regularly in the UK and Europe. Alongside her classical career she regularly crosses over in the fields of jazz and pop and is a sought after session musician appearing on many movie and television scores. She has recorded with many of the leading Jazz musicians on the UK scene including Ian Shaw, Barb Jungr, Liane Carroll, Guy Barker, Laurence Cottle, Pedro Segundo, Graeme Flowers, Jannette Mason and Claire Martin OBE. She has performed and recorded with Skunk Anansie, Sade, Dionne Warwick, Charlotte Church and has been a member of Judith Owen’s band since 2007. This year she continues her collaboration with Gwilym Simcock’s Quintet, whose members include the violinist Thomas Gould, on a UK tour beginning at King’s Place, London. Gabriella is also a passionate broadcaster and arts commentator and has been a regular guest on BBC 4’s coverage of The Proms, Radio 3’s In Tune and Music Matter. She has been a guest speaker at the Bath Literary Festival and The Battle of Ideas. Gabriella plays a cello by Charles Harris Senior built in 1820 and an electric cello by Starfish Designs. Vanessa Benelli Mosell is a rising star on the international music scene. A Steinway Artist, she is continuously praised for her virtuosity, musical insight and her championing of new music. She has 5 CDs for DECCA from Stockhausen to Rachmaninov and this coming season will see her debuts with the RSNO and the LPO and at London’s Southbank and New York’s Carnegie Hall. Westminster Abbey; Sydney Town Hall; Liverpool Cathedral; Wellington Cathedral; the Lambertikirche in Munster; Frankfurt’s Imperial Cathedral; Melbourne Town Hall; The Reid School of Music, Edinburgh University; Oxford Town Hall; St Chad’s Cathedral, Birmingham; and the Caird Hall Dundee have all resounded to his music-making. He has given over 500 recitals and is proud that he has never offered the same programme twice. This is because each organ, venue and audience has particular resonances and the skill of an exceptional musician is to meld all the competing factors into a satisfying whole. His repertoire is truly vast: major organ composers such as Bach, Buxtehude, Franck, Liszt, Mendelssohn, Messiaen and Sweelinck are all represented in his concerts, but he also has performed, broadcast and recorded works by lesser known figures such as Bacewicz, Demessieux, Dupre, Durufle, dello Joio, Jolivet, Kagel, Krzanowski, Leighton, Maw, Olsson, Ridout, Schmidt and Williamson. On Millennium Night he premiered The Tightrope Prelude by Derek Nisbet. Rupert is also an adept arranger with orchestral works by Elgar, Tchaikovsky, Mussorgsky and Brahms in his quiver, as well as Scott Joplin Rags, Show Songs, Strauss Polkas and much else besides! Having been on the staff of Edinburgh, Guildford, Birmingham, Coventry and Brisbane Cathedrals, Rupert is well acquainted with the wide variety of musical instruments. He has adjudicated at organ competitions in Bedford (UK) and Sydney (Aus) and has given recitals for the Organ Historical Trust of Australia, and for many organ restoration schemes. In May 2008 he opened the renovated Lewis organ in All Saints Church Brisbane, and he was the Archbishop’s adviser on the care of organs in churches. Having served in parish appointments, prep-schools, boarding schools and cathedrals, Rupert works at raising awareness of the importance of organ music. Aged 20 Rupert was a prizewinner in the Royal College of Organists Fellowship examination, which he gained whilst studying with Peter Hurford, David Sanger and Peter le Huray. As Organ Scholar at St Catharine’s College Cambridge, Rupert not only played the organ but conducted the mixed choir, and he was also uniquely privileged to be asked to play regularly for the choirs of both King’s and St John’s Colleges. In the UK he has broadcast on Radios 2,3 and 4. Violinist, Tom Pigott-Smith was a Scholar at the Royal College of Music where he studied under Itzhak Rashkovsky winning all the major prizes. On leaving, Tom went on to win the Myra Hess Award, enabling him to make his Debut at the Wigmore Hall to critical acclaim. He has since played at countless Music Festivals as recitalist not only in standard repertoire but giving World Premieres by composers including Huw Watkins (Tom’s duo partner for several years), Judith Bingham, Jean Sibelius and Anthony Payne whose Storm Chorale was commissioned for and dedicated to him. Tom often sits guest principal in major orchestras (recently RPO on tour with Zuckerman and several operas at ENO.) Tom has guest led the Heritage Orchestra at the Barbican, The Syd Lawrence Orchestra and regularly leads the RPCO. He has also been lucky enough to lead orchestras live for Shirley Bassey, Squeeze, Kylie, Jeff Beck, Sparks and many others. success. Tom is currently working on an evening of Sassoon poetry with excerpts from his war journals and contemporaneous music for a concert at the Brighton Festival in May 2018. Tom continues to enjoy a very wide ranging career in all spheres of musical life. Charles Dance, OBE is an actor, screenwriter, and film director. Dance typically plays assertive bureaucrats or villains. Some of his most high-profile roles are Tywin Lannister in HBO’s Game of Thrones, Guy Perron in The Jewel in the Crown (1984), Sardo Numspa in The Golden Child (1986), Jonathan Clemens in Alien 3 (1992), Benedict in Last Action Hero (1993), the Master Vampire in Dracula Untold (2014), Lord Havelock Vetinari in Terry Pratchett’s Going Postal (2010), Alastair Denniston in The Imitation Game (2014), and Emperor Emhyr var Emreis in The Witcher 3: Wild Hunt (2015). Dance was a member of the Royal Shakespeare Company during the mid-to-late 1970s and was in many of their productions in London and Stratford-upon-Avon. Later he returned to the RSC to take the title role in Coriolanus at Stratford-upon-Avon and Newcastle in 1989, and at the Barbican Theatre in 1990. He received rave reviews and a Critics’ Circle Best Actor award for his performance as the Oxford don C. S. Lewis in William Nicholson’s Shadowlands, in the 2007 stage revival. Dance made his screen debut in 1974, in the ITV series Father Brown as Commandant Neil O’Brien in “The Secret Garden”, but his big break came ten years later when he played the major role of Guy Perron in The Jewel in the Crown (Granada Television, Christopher Morahan 1984), an adaptation of Paul Scott’s novels that also made stars of Geraldine James and Art Malik. He appeared in Paris Connections (2010) as the Russian oligarch Aleksandr Borinski. Dance made one of his earliest big screen appearances in the 1981 James Bond film For Your Eyes Only as evil henchman Claus. Though he turned down the opportunity to screen test for the James Bond role, in 1989 he played Bond creator Ian Fleming in Anglia Television’s dramatised biography directed by Don Boyd, Goldeneye (the name of Fleming’s estate in Jamaica and a title later used for a James Bond film). He has also starred in many other British television dramas such as Edward the Seventh (as dissolute Prince Albert Victor, Duke of Clarence and Avondale, Edward VII’s oldest son, and heir to the throne), Murder Rooms, Randall and Hopkirk, Rebecca, The Phantom of the Opera, Fingersmith and Bleak House (for which he received an Emmy nomination for Outstanding Lead Actor in a Miniseries or a Movie). He was name-checked in the British comedy series Absolutely Fabulous, as being slated to play the title character in The Life of Jesus Christ 2, which was filming in Morocco at the same time as the main characters of the series were there for a photo shoot. He also played Guy Spencer, the pro-Hitler propagandist, in the second instalment of Foyle’s War, and had an ongoing role as Dr. Maltravers in the ITV drama Trinity. Dance made a guest appearance on the BBC drama series Merlin as the Witchfinder Aredian, and as a vainglorious version of himself in the third series of Jam & Jerusalem. He played Havelock Vetinari in the 2010 Sky adaptation of Terry Pratchett’s Going Postal. He played the role of Tywin Lannister in HBO’s Game of Thrones, based on the Song of Ice and Fire novels by George R. R. Martin. Dance was wooed for the role by the producers while filming Your Highness in Belfast. Dance also played Conrad Knox on the British television series Strike Back: Vengeance as the primary villain in the series. Dance’s debut film as a writer and director was Ladies in Lavender (2004), which starred Judi Dench and Maggie Smith. In 2009, he directed his own adaptation of Alice Thomas Ellis’s The Inn at the Edge of the World. Peter Gregson is a cellist and composer “working at the forefront of the new music scene” (The New Yorker) Recently, he has premiered works by composers including Tod Machover, Daníel Bjarnason, Gabriel Prokofiev, Max Richter, Jóhann Jóhannsson, Steve Reich, and Sally Beamish; he collaborates with many of the world’s leading technologists, including Microsoft Labs, UnitedVisualArtists, Reactify and the MIT Media Lab. Peter developed and was commissioned to compose ‘The Listening Machine‘, a data sonification of Twitter in collaboration with Daniel Jones and Britten Sinfonia for the BBC/Arts Council’s “The Space”, where it ran continuously between May-January 2013. His debut solo album, ‘Terminal’, was commissioned by Bowers & Wilkins and launched in April 2010. A limited edition 10′′ vinyl was commissioned by Mute in May 2011, featuring new solo works for Peter written by Max Richter and Jóhann Jóhannsson and was released at the ‘Short Circuit’ Festival at The Roundhouse. In May 2012, Nonclassical released Gabriel Prokofiev’s ‘Cello Multitracks’, a cello suite written for Peter which the two have toured around the world. ‘Lights in the Sky’, his second album, composed for cello, piano, and analogue synthesisers, was released at Imogen Heap’s ‘Reverb Festival’ in August 2014, and his third studio album, TOUCH, was released to critical acclaim on Sono Luminus in August 2015. In demand for his work across major film and television soundtracks for composers including Lorne Balfe, Alex Heffes, Michael Price and many others, Spitfire Audio developed a sample library of Peter’s extended techniques and sounds from his blue, five-string electric cello, all recorded at Pixel, his studio at Tileyard Studios, London. The soundtrack to his first feature film, A LITTLE CHAOS, directed by Alan Rickman and starring Kate Winslet and Matthias Schoenaerts, was nominated for the Public Choice award at the World Soundtrack Awards 2015. He is currently writing the music for BOUNDLESS an open world game for Playstation. Born in Wales in 1993, Gabriella Jones began harp, flute and violin lessons age 13. She was principal with Greater Gwent Symphony Orchestra which gave her the opportunity to go on and play at the Royal Albert Hall, tour Poland and Germany, and make her concerto debut age 16 at Birmingham Symphony Hall. Gabriella has received masterclasses from Anneleen Lenearts, Marisa Robles, Elizabeth Fontaine-Binoche, Helga Stock, and Sioned Williams. Since 2012 Gabriella has played principal with several London based orchestras; Melos Sinfonia in St.John’s Smith Square, Aleph Orchestra, London Hungarian Symphony Orchestra, and Philharmonia Brittanica. Gabriella has played under the many of the world’s leading conductors including Antonio Pappano, Vladimir Ashkenazy, and Yan Pascal Tortelier. Gabriella is passionate about opera and has recently played Britten’s Albert Herring, with french festival opera, Opera de Baugé. Gabriella is the other half of prize-winning flute and harp duo. À Deux Duo, had first place success at the North London Festival, sponsored by Camac Harps this summer, and recently played the Welsh premiere of world renowned composer Paul Patterson’s latest composition. Thomas is a recording artist for Resonus and releases for 2018/19 include recordings of Jean Sibelius, Richard Strauss, Edward Elgar and Alexander Goehr. In 2012, he made his operatic debut in a new production of Cosi fan tutte for Opera Holland Park with the City of London Sinfonia to widespread praise. “Cosi fan tutte was conducted with real shape and nuance by Thomas Kemp…Altogether this was the most original and idiomatic attempt on this ungraspable work London has seen in a long time.” Opera Now. Thomas is the Artistic Director of Music@Malling – an international festival that promotes the works of contemporary composers alongside masterworks from the Classical and Romantic periods. Founded in 2011, the festival is held each September in historic venues in and around West Malling, Kent and has an outreach programme that engages hundreds of young people in creative activities from across the county. In 2017, the festival had 24 events and featured contemporary music by Alexander Goehr, Salvatore Sciarrino and Paul Patterson. Music@Malling was recently featured the annual roundup of The Best Classical Concerts in The Artsdesk. From 1989-92, Thomas read music at St.Catharine’s College, Cambridge and went on to study violin and chamber music at the Royal Northern College of Music, Manchester where from 2000-2014 he worked as a professor. He has given masterclasses and conducted ensembles in conservatoires and universities worldwide. From 2003-2007, he studied conducting at the Royal College of Music, Stockholm with Jorma Panula, Paul Magi and Alan Gilbert winning the prestigious conductors award from The Swedish Academy. Under its artistic director, Thomas Kemp, Chamber Domaine has become internationally recognised for its virtuosity and its ambitious and distinctive approach to programming – illuminating the music of the 20th and 21st Centuries. A project based orchestra, its programmes feature outstanding musicians that bring passion and commitment to a diverse repertoire that makes the music of today come alive whilst placing it into its historical context. ​Chamber Domaine has worked with many renowned contemporary composers and has given World and territorial premieres in numerous concerts and recordings that span nearly two decades. 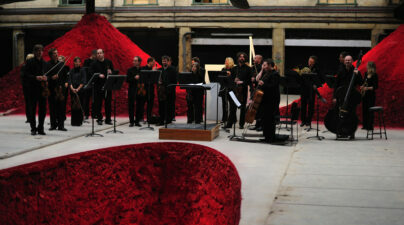 The ensemble regularly collaborates with leading figures from across the arts world to create unique and culturally significant events. ​A trailblazing ensemble, Chamber Domaine are in demand at leading festivals and concerts series in the United Kingdom, Europe and North America and have regularly appeared at The Wigmore Hall and Southbank Centre. The ensemble has developed groundbreaking residencies at The Victoria and Albert Museum, The Imperial War Museum, The Arnold Schoenberg Centre, Vienna, Gresham College and Bargemusic, New York. ​Since 2011, Chamber Domaine has been the resident ensemble for Music@Malling giving concerts and delivering a year-around outreach programme that has engaged thousands of young people from across Kent in creative activities – building audiences from scratch and introducing new music to new audiences. ​The ensemble has a distinguished and highly acclaimed discography, winning international plaudits and receiving many broadcasts Worldwide. ​With its innovative programming, collaborations, outreach and recording, Chamber Domaine is in the vanguard of music-making today: a flexible and dynamic ensemble that brings music alive and creates new audiences. Since his critically acclaimed concerto debut at the age of ten, the award-winning English’cellist Richard Harwood has performed concerti and chamber music in major venues including London’s Royal Albert Hall, all of the South Bank Centre venues, Wigmore Hall, Musikverein (Vienna), Concertgebouw (Amsterdam), Alte Oper (Frankfurt), Thomaskirche (Leipzig), Auditorium du Louvre (Paris) and Alice Tully Hall / Lincoln Center (New York). 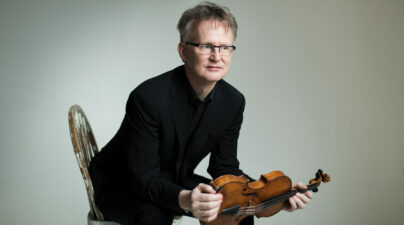 As concerto soloist, Richard has collaborated with conductors such as John Wilson, Okko Kamu, Marko Letonja, Douglas Bostock, En Shao, Shuntaro Sato, David Parry and Yehudi Menuhin, and with numerous orchestras including The Philharmonia, Royal Philharmonic, Bournemouth Symphony, RTÉ Concert, Auckland Philharmonia and the Ural Philharmonic. As chamber musician, he has collaborated with the Jerusalem and Endellion Quartets, Gidon Kremer, Yuri Bashmet, Olivier Charlier, Benjamin Schmid, Alena Baeva, Ilya Gringolts, Pekka Kuusisto, Vilde Frang, Chen Halevi, Julian Bliss, Martin Roscoe, Finghin Collins, Ashley Wass, Gottlieb Wallisch and Julius Drake, among others. Richard’s discography includes a critically acclaimed debut disc for EMI Classics, recorded with pianist Christoph Berner, and Composing Without The Picture, a 2013 . solo album of concert works written by film composers, on Resonus. Richard’s recording of Christopher Gunning’s Cello Concerto with the Royal Philharmonic Orchestra was released in June 2016. In addition, Richard can be seen and heard in Phil Grabsky’s 2009 documentary In Search of Beethoven. Richard began his studies with Joan Dickson, before continuing with other eminent teachers such as Steven Doane, David Waterman, Heinrich Schiff (University of Music and Dramatic Art, Vienna) and Ralph Kirshbaum (Royal Northern College of Music, Manchester). He complemented his studies by taking master classes and lessons with Mstislav Rostropovich, Janos Starker, Steven Isserlis, Boris Pergamenschikow, Miklós Perényi, Bernard Greenhouse, Valentin Erben (Alban Berg Quartet), William Pleeth, Zara Nelsova and Ferenc Rados. Richard plays a ‘cello by Francesco Rugeri, dated 1692. Adrian read Veterinary Science and Music at Churchill College, Cambridge before further study at the Royal Academy of Music (RAM) and in Berlin. He has since developed an international career in chamber music as the cellist in Composers Ensemble (winners of the Royal Philharmonic Society Chamber Award, 2002), Jane’s Minstrels, Trio Gemelli, Touchwood Piano Quartet and Chamber Domaine, involving regular appearances at major festivals all over Europe together with a busy recording and broadcasting schedule. He also collaborates with neuroscientist Professor Alan Wing to carry out conservatoire-based research into string playing, and curated a series of Music and Brain events at the 2010 Aldeburgh Festival. He is Cello Tutor for the National Youth Orchestra of Great Britain, and holds an Honorary Research Fellowship at the RAM as well as an Artistic By-Fellowship at Churchill College. Thomas Kemp is a highly acclaimed musician and one of the most versatile and eclectic conductors of his generation, acclaimed for his innovative programming and passionate advocacy in concerts, opera, ballet and as an award winning recording artist. The Guardian recently commented “…an extraordinary performance… with a fluency that came over brilliantly under the baton of Thomas Kemp.” Thomas is the Music Director of the internationally acclaimed ensemble Chamber Domaine, which is at the forefront of ensembles focusing on 20th and 21st century music. He has directed Chamber Domaine in festivals and concert series in the UK, Europe and North America and has a distinguished discography with the ensemble including world premiere recordings of Britten, Bridge, Bliss, Turnage, Part, Gorecki, Rorem and Bingham. He is a recording artist for Resonus: forthcoming releases include recordings of Mozart and Sibelius. Classical Concerts of 2015 in The Artsdesk. with Dietrich Henschel, Toby Spence and Kate Royal. Centre and as a guest artist for Bargemusic, New York. From 1989-92, Thomas read music at St.Catharine’s College, Cambridge and went on to study violin and chamber music at the Royal Northern College of Music, Manchester. From 2003-2007, he studied conducting at the Royal College of Music, Stockholm with Jorma Panula and Alan Gilbert winning a major award from the Swedish Academy. orchestras and ensembles and has led many recording sessions for TV and film in London. He is a Fellow of the Royal Society of Arts. From 2000-2014, he was a professor at the Royal Northern College of Music and has given masterclasses, coached and conducted orchestras and ensembles at leading conservatoires and universities worldwide. Chamber Domaine is a trailblazing ensemble acclaimed for its virtuosity, distinctive programming and passionate advocacy of the music from the 20th and 21st Centuries. Chamber Domaine is project based and has a modular lineup of outstanding instrumentalists and vocalists ranging from duos to chamber orchestra. Under its Music Director, Thomas Kemp the ensemble aims to bring new work to new audiences placing the music of our time into its context, illuminated by music from across three centuries. Its innovative programming, collaborations, recording and outreach place the ensemble at the forefront of music-making today. The ensemble has worked with many of the world’s leading composers including Mark-Anthony Turnage, Judith Bingham, Ned Rorem, Arvo Part, Mark Simpson, Henrik Gorecki, Piers Helliwell, Stuart MacRae, Huw Watkins, Judith Weir, Brian Ferneyhough, HK Gruber and David Horne giving many territorial and world premieres in concerts and recordings. The ensemble regularly collaborates with leading figures from across the arts world, including Sir Anish Kapoor, Edward Fox, Nicky Spence, Helen Lederer, Yeree Suh, Sara Fulgoni, Craig Ogden, Irina Takahashi and Anna Grevelius. Chamber Domaine gave its highly praised South Bank and Wigmore Hall debuts in 1999 and has since performed at leading festivals and concert series in the United Kingdom, Europe and North America including Cheltenham, Brighton, Vale of Glamorgan, City of London and Edinburgh Festivals. The ensemble has also had groundbreaking residencies at the Victoria and Albert Museum, The Imperial War Museum, Arnold Schonberg Centre, Vienna, Gresham College and Bargemusic, New York. Chamber Domaine is the resident ensemble for Music@Malling and has a year around outreach programme engaging hundreds of children from across Kent in creative activities. This groundbreaking programme has included collaborations with national, regional and local organisations to create an artistic resource for the local area that is of outstanding quality. Music@Malling was recently one of the classical events of the year in The Artsdesk. The ensemble has a distinguished and highly acclaimed discography with recordings winning international plaudits and regularly broadcasts worldwide. Chamber Domaine are recording artists with Resonus and releases for 2017/18 include works by Sibelius and Mozart. Matthew Sharp studied cello with Boris Pergamenschikow in Cologne, voice with Ulla Blom in Stockholm and English at Trinity College, Cambridge. He has performed at major venues and festivals worldwide as solo cellist, baritone and actor. Matthew has appeared as solo performer with the Royal Philharmonic Orchestra, London Philharmonic Orchestra, Royal Liverpool Philharmonic Orchestra, City of Birmingham Symphony Orchestra, Orchestra of Opera North, Scottish Chamber Orchestra, European Union Chamber Orchestra, English Symphony Orchestra, Manchester Camerata, Orchestra of the Swan, Arensky Chamber Orchestra, and Ural Philharmonic. Matthew has performed principal roles for Opera North, ROH2, Almeida Opera, Young Vic and National Theatre Studio. Matthew has given solo performances at the Glastonbury and Latitude festivals, and has recorded for Sony, EMI, Decca, Naxos, Somm and Avie. Matthew has given over fifty world premieres – including the title role in Sir John Tavener’s The Fool and Errollyn Wallen’s Cello Concerto. As writer, composer and performer he collaborates regularly with leading artists from film, theatre and dance. Simon Speare was born and brought up in Cornwall. He studied composition with Simon Holt at City University, London. His music has been widely performed by professional and amateur performers in the UK and abroad and broadcast on national radio and television. Head of Composition and Contemporary Music at the Royal College of Music Junior Department, he also teaches composition at The Purcell School. 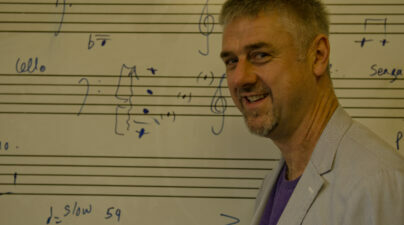 His students have won many national and international awards (including this year’s BBC Proms Inspire competition), and a number of his students have developed successful careers as composers. He has lectured and examined at Universities and Conservatoires and is an experienced leader of workshops, devising and leading education projects in schools for leading orchestras and education authorities. He was a lead composer on the award winning SPNM Sound Inventors project and has recently helped to develop the Go Compose project for Sound and Music, both aimed at pre-university aged composers. He was Composer in Association with London Concert Choir and Composer in Residence at the Centre for Young Musicians, London. He is currently collaborating with the author Tony Bradman on a music-theatre piece for children. He has devised and presented a contemporary music show on Resonance FM and been a judge for the British Composer Awards. Married with a son and daughter, he has often dabbled in rock and pop music and lives in East London. The Tippett Quartet regularly appear at Kings Place, Purcell Room, Wigmore Hall, Queen Elizabeth Hall and Bridgewater Hall and frequently perform on BBC Radio 3. They have performed at the BBC Proms and toured Europe, Canada and Mexico. Their broad and diverse repertoire highlights the Tippett Quartet’s unique versatility. Their impressive catalogue of recordings have been released on Naxos, EMI Classics, Signum, Decca, Classic FM, SOMM Records, Vivat, Guild, Real World, Dutton Epoch and Tocatta Classics with universal critical acclaim. The Tippett Quartet recently worked on a groundbreaking reimagining of Beethoven’s iconic Op. 135 with composer/soundscape artist Matthew Herbert for a BBC Radio 3 broadcast, which was also used as the BBC TV ident. They have also given numerous world and UK premieres including works by John Adams, Howard Goodall and Stephen Dodgson. In 2013 the Tippett Quartet rediscovered Gustav Holst’s Fantasy on British Folk Songs which, with the help of the eminent musicologist Roderick Swanston, they were able to complete and give a world premiere on BBC Radio 3. They have also worked with Peter Maxwell-Davies for a performance of his 9th Quartet at the South Bank, with Anthony Payne on his Quartet No.1 for a live BBC broadcast from Spitalfields Festival, and Hugh Wood on his String Quartet No.3 at the Presteigne Festival. 2016 saw the quartet commission pianist and composer Alissa Firsova to write her ‘Tennyson Fantasia’ , a project supported by The Ralph Vaughan Williams Trust, Ambache Trust and Nicholas Boas Trust. It was premiered at Kings Place with the actor Finbar Lynch reciting Tennyson’s poems and was subsequently performed on BBC Radio 3 and at various concert venues across the UK. They also appeared on the Decca CD release of Damian Montagu’s music, in which they accompanied the actor Hugh Bonneville narrating his own poetry. A live premiere of both poetry and music was premiered at Chichester’s Minerva Theatre. music. In 2016, the Tippett Quartet continued their link with film composers when they gave the premiere of Alberto Iglesias’ string quartet No.1 in Madrid. In 2014 the Tippett Quartet started a collaboration with some of the UK’s finest Jazz musicians with the launch of their ‘Close To You’ project featuring Matt Ford – a tribute to the album that Frank Sinatra made with the Hollywood String Quartet. They are now continuing this collaboration featuring singer and broadcaster Claire Martin OBE. Both projects have lead to performances throughout the UK, a Radio 3 broadcast and concerts at Snape Proms, Ronnie Scott’s and Pizza Express, Dean Street. Alongside a busy touring schedule, the Tippett Quartet pursues a keen interest in educational work with both schools and universities. They were Ensemble in Residence at Sidney Sussex College, Cambridge University for 2012-13 and since September 2015 they began two exciting new residencies at Royal Holloway University, London and St Edmund’s School, Canterbury. They are also featured in the new Boosey & Hawkes publication “4 Strings” edited and compiled by Liz Partridge. James Pearson is one of the country’s most respected musicians. His work covers all genres of music, especially contemporary music, jazz and classical. He graduated from the Guildhall School, having completed his degree and the Advanced Solo Studies Course. Whilst at college he studied with Robert Saxton, Francis Shaw, Peter Bithell and James Gibb. James has broadcast on all the major radio and television networks. Classic FM broadcast his concert of Rachmaninoff’s 2nd piano concerto, and BBC Radio 2 broadcast his performance of the Gershwin Piano Concerto and Rhapsody in Blue. He was the pianist in the Steve Martland Band. His work as a Jazz musician has taken him all over the world. Earlier this year, the James Pearson Trio was invited to play a four night run at New York’s Birland Jazz Club. His fine piano playing and arrangements can be heard on over 50 albums. Amongst the many artists James has worked with are Dame Cleo Laine, Maria Ewing, Marian Montgomery, Petula Clark, Kevin Spacey, John Wilson, Elvin Jones, Wynton Marsalis, Joss Stone, Dave Stewart, Buddy Greco, Johnny Griffin, Joseph Horowitz, Richard Rodney Bennett, Ray Davies, Jeff Beck and Paul McCartney. He is the Artistic Director of Ronnie Scott’s, London. Born in Plymouth but raised in the Highlands of Scotland, Adam Mackenzie began playing the bassoon in school, obtained a first class degree at the Guildhall School of Music and Drama and was runner-up in the prestigious Guildhall Gold Medal Competition. Following his return from a year at the Accademia della Scala, Milan, Adam embarked on what has become a hugely varied career. Adam is the principal bassoon of Sinfonia ViVA and English Sinfonia and plays regularly as principal bassoon with orchestras such as the Philharmonia, Royal Philharmonic Orchestra, Halle Orchestra, City of Birmingham Symphony Orchestra, London Mozart Players and Scottish Chamber Orchestra. Alongside this orchestral work Adam is a diverse and adventurous soloist, performing concertos (recently Mozart’s G Major Violin Concerto arranged for bassoon), playing in hip-hop bands, improvisation ensembles, theatre groups and has just completed a tour of India with the world renowned sarod player Amjad Ali Khan. He is fortunate to be able to combine this with his other musical passion, outreach and education work. As one of London’s busiest freelance workshop musicians and leaders, Adam works regularly with all the major London orchestral education departments. He is Director of Education for English Sinfonia and Head of Education for Brandenburg Sinfonia. The best way to see all the top events at this year's festival is a season pass - you save £160 and won't miss a single performance. Pass includes an invitation to the opening reception on Sunday 16th September at Went House, West Malling, Kent, ME19 6LW. Please note the Season Pass excludes Classical Kicks! and Corrido! A resource pack for the Great Enormo with details regarding the workshops and concerts together for ideas for creative learning. The current festival has ended but we are working hard on a great series of concerts and events for the next Music@Maling festival. Please sign up to the mailing list, follow us on Twitter or Facebook for all the latest festival news.